This little guy was out sunning himself on the rocks at Point Lobos. When I approached, he hunkered down into this crevice; almost daring me to stick my finger in. This was taken with my Canon 100-400@400mm. Even though I was at aperture f/11, the depth of field was really narrow. 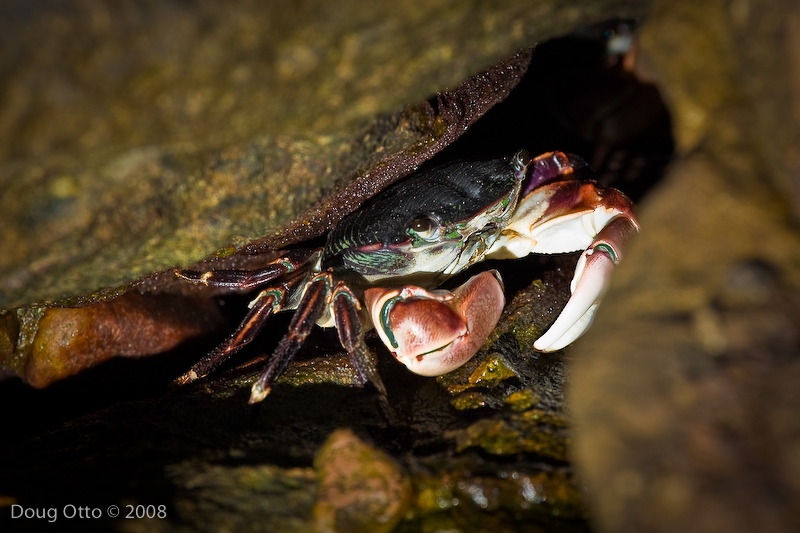 I could have stopped down but I liked how the out of focus border exaggerated the sharpness of the crab and the rock above him. The exposure was 1/15th of a second, at ISO 100. This entry was posted in Photography, Travel and tagged Monterey, pacific ocean, point lobos, sunset. Bookmark the permalink.